The battle regarding the legal difference (if any) between paid vacation time and paid time off (which generally combines "vacation" leave and "sick" leave into a single bank of time) under the Nebraska Wage Payment and Collection Act (the "Wage Act") continues to work its way through the Nebraska court system. Although an additional appeal is currently pending, the District Court of Douglas County upheld the decision of the County Court for Douglas County holding that accrued, unused paid time off ("PTO") is equivalent to vacation time and must be paid out as "wages" at the time of termination. The Wage Act provides that "[p]aid leave, other than earned but unused vacation leave, provided as a fringe benefit by the employer shall not be included in the wages due and payable at the time of separation, unless the employer and the employee . . . have specifically agreed otherwise." The result of this provision is that employers must pay employees for unused vacation leave with their final paycheck, but sick leave does not need to be paid. Notably, the Wage Act does not directly reference combined leave plans, like PTO, and leaves uncertainty about the status of those plans under Nebraska law. While comments in the legislative history for 2007 amendment to the Wage Act indicate that the Nebraska Legislature’s intent was not to require that unused, accrued PTO be treated like vacation and paid upon termination of employment, this legislative history is not controlling on a court that considers the issue. We previously provided commentary regarding the decision reached by the County Court for Douglas County in Fisher v. Payflex Systems USA, Inc. and Norton v. Payflex Systems USA, Inc. In these cases, the court found that the employer’s PTO policy that did not pay out accrued, unused PTO upon termination of employment violated the Wage Act. Not only was the employer required to pay for the PTO, but it was also assessed the attorneys’ fees incurred by the employees. The court considered the legislative history, but still came to the conclusion that payment of PTO upon termination was required. The employer in these cases appealed and the District Court of Douglas County ultimately upheld the decision of the lower court. In reaching this conclusion, the district court noted that the Wage Act clearly requires payment of unused vacation leave and that the employer’s PTO program "by its own definition, includes vacation leave." The court went on to note that "[t]here is nothing in [the employer’s] PTO program that designates or apportions its PTO to reflect a separate determination of earned vacation leave, and the [employer] admits that an employee could use all of his or her earned PTO for vacation leave. The Court therefore finds that all of the earned PTO credited to [the employees] at the time of their separation from employment . . . should be paid . . . ."
The district court’s decision has now been appealed to the Nebraska Court of Appeals and the matter is currently pending. Although it is not possible to predict how this issue will ultimately be resolved upon appeal, the consistency of the lower courts’ opinions could be instructive and employers should consider the potential impact on their PTO policies. Until a final decision is reached on this matter, employers that have PTO policies and do not regularly pay out accrued, unused PTO at the time of termination run the risk of a wage payment challenge under the Wage Act similar to the claims raised in the cases identified above. In light of the current uncertainty, employers may want to consider paying out accrued, unused PTO upon termination or at least revising their PTO policies to clearly provide that not all allotted time is expected to be used for vacation leave. This latter change may still result in apportionment disputes (i.e., how much PTO is allotted to vacation time that may need to be paid out upon termination), but it could limit liability in the event the decisions of the county and district courts are upheld. We will continue to monitor the status of these developments. 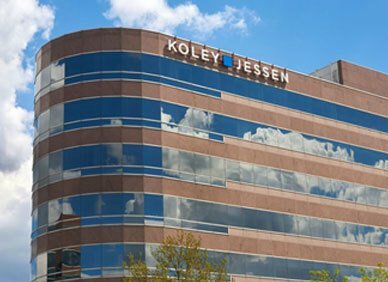 In the meantime, please contact a member of the Koley Jessen Employment, Labor and Benefits Practice Group if you have questions regarding how this issue may affect the administration of your current paid leave policies.